In fact, odds are pretty good that you’ll find it coded as a liability. I’m talking about people. 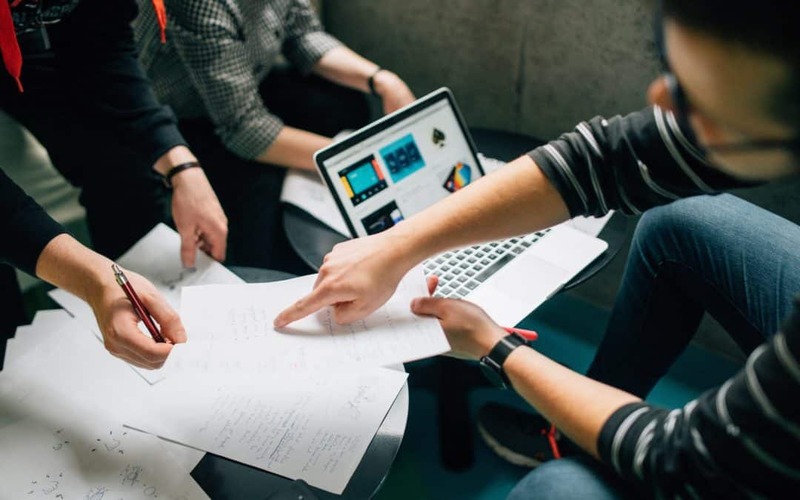 From top to bottom, side to side, beginning to end, and everywhere in between people are the most critical part of every single internal and external function in your business. Whether we’re talking about your team, your customers, or your partners these people are what drive your business. They deliver success or failure, profit or loss. People are everything. People are your greatest asset. They do the work, buy your stuff, and supply, distribute, market….you get the idea, the list goes on and on. My mindset about business was largely shaped by my family, and if you did deep you’ll likely discover that some of your most fundamental beliefs (whether positive or negative) also come from what you learned at home. My grandfather owned a business, my parents had a side business, and of course, most of my family members worked for a business of one form or another. I overheard a lot of conversations about business, but I didn’t think of them that way because it sounded like conversations about people. Whether or not your family members owned businesses, odds are you also grew up overhearing some of these conversations. “So you’re laying people off?” I asked. All eyes looked up from their printouts to glare at me like I was an idiot. I was pretty young at the time, so I let them make me feel foolish. All these years later though, I know they were the foolish ones. There were things we could do to save those jobs, we were the people with the power to do it. Sadly a dehumanizing work culture prevented the sort of creative thinking that was needed at that moment, and many others I experienced in the coming years. As it turns out, I wasn’t alone. Around the world, there were lots of people sitting at boardroom tables questioning how we arrived at a place where we no longer referred to people as, well, PEOPLE. Maybe they grew up like me, in families where they still witnessed the selfless sort of leadership that values employees as your greatest asset, or maybe they just had the good sense to see the absurdity of corporate culture for what it is. Either way, John Elkington found a way to clearly reframe the way we look at business with his Triple Bottom Line. 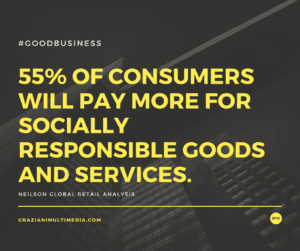 Rather than viewing the bottom line as profit alone, Elkington asserts that we evaluate the economic, environmental, and social impacts of a business. Some say, people, planet, and profit and occasionally you’ll hear this referred to as 3BL, or even impact businesses. Corporate Social Responsibility, or CSR, is often relegated to a few programs For a while, the business community largely viewed the triple bottom line as a cute concept that academics talk about, but impractical in practice, but capitalism has a funny way of fleshing things out. According to Mintel, 56% of Americans stop buying from companies they believe are unethical. And it’s not just a matter of boycotts either. People consciously choose ethics over price, meaning they’ll pay more for products and services that align with their values. 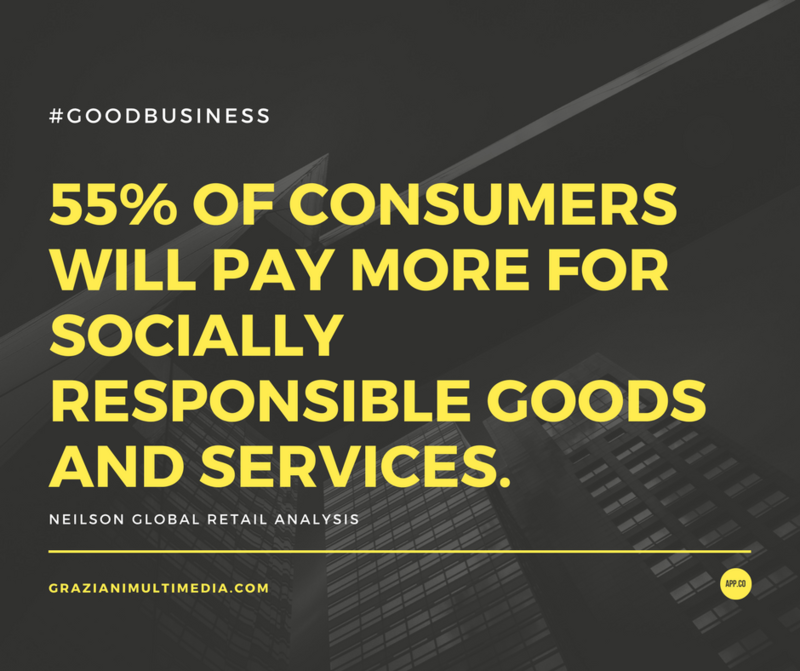 According to Neilson research, 55% of consumers will pay more for socially responsible goods and services. Elkington actually suggests adjusting our accounting to reflect this triple bottom line. Others choose to organize their businesses as B Corporations. Some businesses set up charitable foundations. While all of these are wonderful things to do, you don’t have to start with a structural change to your business. My grandfather had never heard of CSR or B Corps, he just used common sense. He knew the people who worked for him were helping him to grow his business, and he valued their contributions. He understood that they had families to feed and bills to pay. Realizing that people are your greatest asset changes everything. If you think about the ROI of your equipment purchases, what about the ROI of the salaries you pay? How can you invest in the lifeblood of your company by investing in your people? While this can take the form of salaries, it also can be positive feedback or flexible work schedules. Sometimes it’s creature comforts like better coffee or a new microwave for the breakroom. Whatever the needs may be, your customers and your staff are too critical to be reduced to facts and figures. These real, live, dynamic beings are far too important. As your greatest asset, they have to be the first thing you think about in every decision you make.